Week twenty-two brings us the letter V. Fans of Sir Winston Churchill will tell you that V is for Victory. 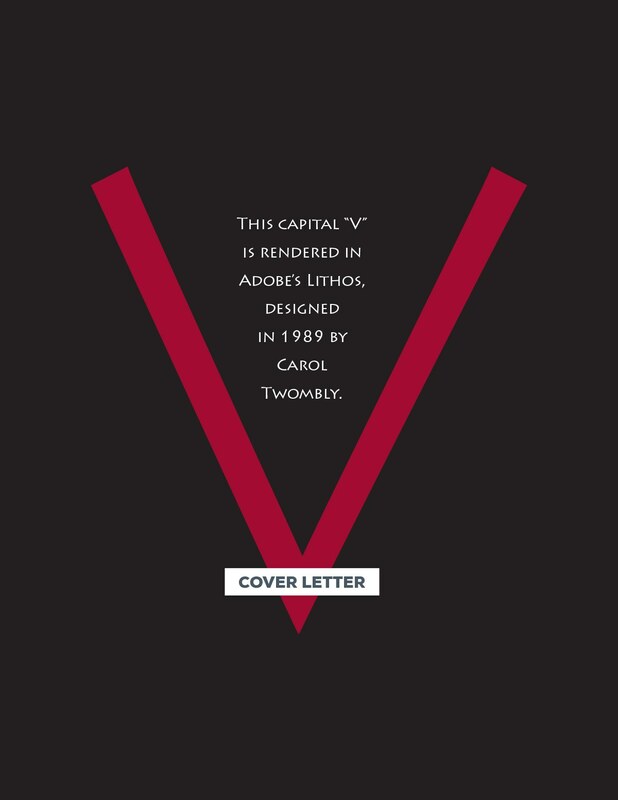 Fans of Alan Moore would argue that V is for Vendetta. If you’re married to a guitar player, then V’s should fly. However you like your V, I hope you enjoy this one. A PDF version of this week’s letter can be found here. View previous cover letters here.